The other week Sainsburys had 25% off all TU clothing and I decided to take advantage of it. I usually wait until after Christmas when the main sales are on to buy certain clothing, but trying to squeeze Mabel into 12-18 months clothes is not feasible anymore. It’s always her legs outgrowing everything too quickly. 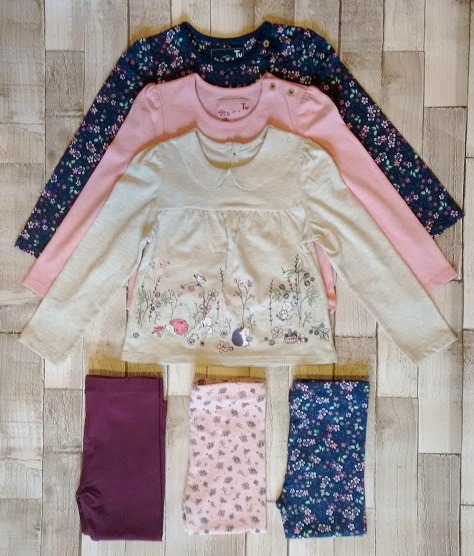 Here are a few bits that I got for her to add to her winter clothing. All are in sizes 18-24 months. I am really looking forward to the Sales after Christmas and hopefully will be able to pick up some bargains for the new baby.